Papillion, Neb. 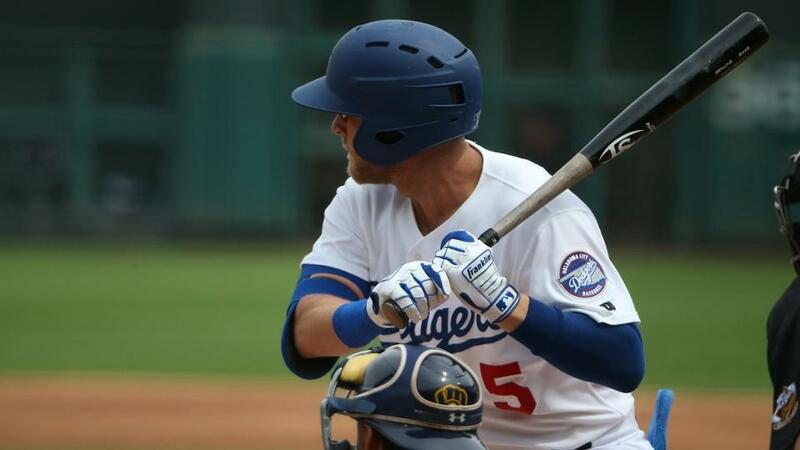 - The early-season struggles for the Oklahoma City Dodgers offense continued Tuesday night, as the team was held without a run or extra-base hit for the first time in 2019 during a 4-0 loss at the hands of the Omaha Storm Chasers Tuesday night at Werner Park. The Dodgers (2-4) are now batting .213 through their first six games of the season and have scored in just one of the last 22 innings. Tuesday night they collected six singles and went 1-for-15 with runners on base, including 0 for the last 11. Both starting pitchers were sharp in their first outing of the season. Each held their opponent scoreless and neither yielded an extra-base hit. Making his team and organizational debut, Rob Zastryzny kept Omaha without a run over five frames. He gave up just two singles and did not have a runner reach third base. The lefty walked two and struck out six, completing his outing on 66 pitches (46 strikes). Unfortunately for the Dodgers, Omaha starting pitcher Jonathan Dziedzic matched zeroes with Zastryzny. Dziedzic turned in 5.1 scoreless innings, scattering four singles with one walk and two strikeouts. With the game still in a scoreless stalemate in the sixth inning, Omaha (4-2) broke the tie in the bottom of the frame. Nicky Lopez led off the inning with a double and stole third base on strike three to Cheslor Cuthbert for the second out of the inning. On the first pitch to the next batter, Justin Grimm threw a wild pitch, allowing Lopez to score. Omaha reliever Kyle Zimmer walked three of five batters to start the seventh inning, loading the bases with two outs. With the count at 3-2, Matt Beaty grounded out to end the threat. Omaha put runners at second and third base with none out in the bottom of the inning, but Grimm and teammate Josh Smoker kept the Dodgers down just by one run after two strikeouts and a groundout. The Dodgers weren't as fortunate in the eighth inning. Cuthbert connected on a solo home run to left field to extend the lead to 2-0. Later with two outs and runners at second and third base, Elier Hernandez hit a slow grounder on the left side of the infield. OKC shortstop Errol Robinson barehanded the ball and threw to first base, but Hernandez barely beat the throw, allowing Bubba Starling to score. Brett Phillips, who began the play at second base, also scampered home after Dodgers first baseman Cameron Perkins argued the call while play was still live, pushing the lead to 4-0. Edwin Ríos was the only Dodger with a multi-hit game, going 2-for-4. Beaty singled in his first at-bat, and he has now hit safely in each of the team's first six games of the season. Omaha reliever Kevin Lenik (1-0) picked up the win after notching the final two outs of the sixth inning. Grimm (0-2) took the loss for OKC. The Dodgers continue their series in Omaha at 6:35 p.m. Wednesday at Werner Park. Live radio coverage of each game begins 15 minutes before first pitch on AM 1340 "The Game," 1340thegame.com and through the free iHeartRadio or MiLB First Pitch apps.